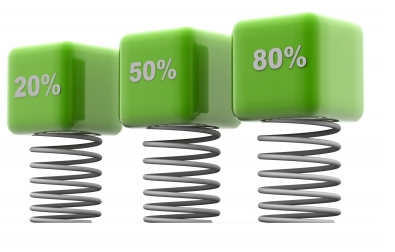 How to Reduce Bounce Rate of Your Blog? It is an internet marketing term, which represents the percentage of visitors, who visit your site and bounce (leave the site quickly) instead of continue viewing other articles within the same site. Bounce rate has been used as a proxy to measure the performance and effectiveness of an entry page. For example, if your bounce rate is high in Google analytics, it means your site is unable to attracting the continued interest of visitors. A rule of thumb indicates that, if your page got 50% bounce rate, it means your page is an average, but if it crossed 60%, then you should be concerned. If your blog exceed the bounce rate over 80%, then you have to adobe some strategies and follow some tips to reduce your blog bounce rate. Suppose you are receiving 10,000 visitors each month, out of which 7,000 bounced after visiting only one page, then your bounce rate for the month will be 7,000/10000, which is equal to 0.7 (or 70%). How to check Bounce Rate? If you want to evaluate your blog position, all you need to check the bounce rate of your blog. Sign-in to Google Analytics or go to Alexa.com and check the bounce rate. How to Remove Picture Shadow/Border in Blogger?